So, after all the time, effort, designing and planning you’ve finally set up your app. If you’re reading this blog you’re more than likely looking for ways for marketing your app because you’ve placed it, or waiting to place it, up on the app store, you were waiting for thousands of downloads to come in but aren’t getting the feedback you expected. If you don’t have the money or the connections it can be difficult to get your name out there. If you thought creating your app was tough, the real challenge is marketing your app. A few years ago it would’ve been easier to promote your app, but now, since it’s such a crowded market with nearly 2 million on the app store you’re going to need to up your game. Being creative and making an original app isn’t going to get you as far as it used to, you need to be marketing it correctly. It would be a shame to have put blood, sweat and tears into the making your app, you do want it to be a success or what was the point? You can buy your way up the market, but there are ways of increasing downloads without spending a penny which I’ve seen many times. 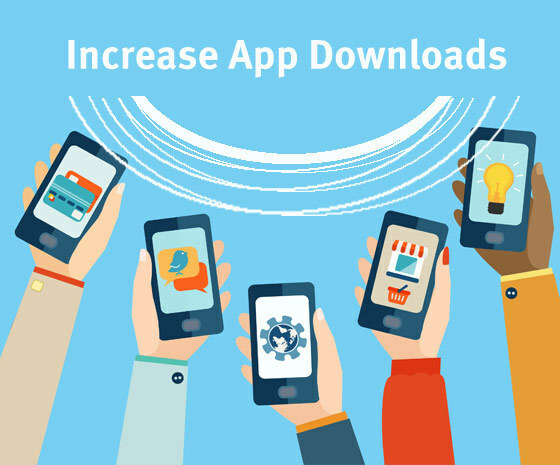 Most businesses pay because they don’t have the time, but I want to show you how promoting your app the first time correctly is enough to increase your downloads for free. If you have an app you most likely have a website. If your site drives a decent amount of traffic raise awareness about your app there, if don’t have a blog start writing ones, write about the launch of the app and features etc, as well as promoting the app you’re also driving more traffic to your site by writing blogs. Even set up a separate website for the app to make the launch more exciting. Social media is your best friend. It is the first thing you should know to go to when you’re looking to promote something for your business. Post about your new app several times and more and more coming up to the big launch, get your followers excited and joining in on the countdown too. They are the obvious ways of marketing, but there are more creative ways of promoting your app which, even the slightest bit can make you stand out a bit from your competition, your customers will also appreciate the creative gestures. Get in contact with your customers. Collect emails and send out digital newsletters or even just provide information about the app that will be coming their way soon. This will generate interest. Get in contact with bloggers that have a similar audience to you and ask them to write about the launch of your app or get them to evaluate it. Your customers have an audience. If you please a customer they’ll share it with their friends or on their social media accounts (their audience) so, get in touch and impress them. Naturally, they will share what they think will be of interest and value to their friends and comrades. What’s a better way of getting people talking about your app than a promo video? Video marketing is becoming the most popular means of marketing and well, a picture is worth a thousand words. It doesn’t have to be long, this is where you can really show off your creative side. A contest for sure will raise awareness about your app launch. If your app is a paid one hold a contest where the public have to like and share your post and the winner gets a launch code and they get the app for free. Research different competitions you could enter your app into, it would be a great way of getting feedback and getting recognition just by entering. Apply for different awards, it’s a creative way of getting known which not many marketers would think of doing. Another creative way of promotion is a podcast. If you’re not confident on a screen or you find a video is too hard, podcasts are becoming widely popular. Upload podcasts relating back to the launching of your app onto iTunes or your website. A flipbook is one of the softwares 3D Issue has perfected over the years. Along with creating Content Hubs and Apps, the Flipbook is an online magazine that takes your existing PDFs and brings them to life, creating a magazine available to read on any device. It’s the perfect way of reaching your audience everywhere globally on every mobile and desktop device. You can create your own flipbook based on marketing your app and include your promo video, podcast, any images of the app and different relatable articles. I hope you found this blog useful, if you have any queries about any of our software – Flipbooks, Hubs or Apps, contact us at info@3dissue.com.